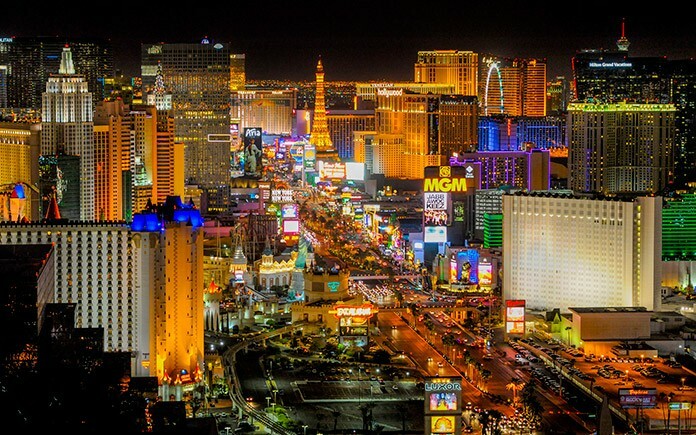 “Las Vegas consistently provides our convention clients with the most professional and productive experience possible, and is proud to be named the No. 1 trade show destination for the 22nd year,” said Rossi Ralenkotter, President/CEO of the Las Vegas Convention and Visitors Authority. The Consumer Technology Association’s CES 2015 show snagged the top spot with more than 2.2 million square feet of exhibit space across several Las Vegas convention facilities. CES 2015 welcomed more than 3,600 exhibitors and nearly 170,000 attendees. Las Vegas’ closest competitor was Orlando with 24 shows, followed by Chicago and New York hosting 21 shows each. More than $7 billion in current and proposed development is on the books to add to the destination’s appeal, including the T-Mobile Arena, TopGolf Las Vegas, Resorts World Las Vegas, renovation of the Julius Tower at Caesars Palace and the Monte Carlo theater, just to name a few. In addition, the Las Vegas Convention and Visitors Authority is progressing with its Las Vegas Convention Center District project that will expand and renovate the Las Vegas Convention Center. To recognize the importance of the meetings and convention industry in Las Vegas, and across the nation, the resort industry will be honoring the inaugural Global Meetings Industry Day (GMID) on Thursday, April 14. Las Vegas will host a panel of Las Vegas industry leaders who will discuss the importance and impact of the meetings industry on our city. Panelists will include Michael Massari, Senior Vice President of National Meetings & Events at Caesars Entertainment; Chuck Bowling, President & COO at Mandalay Bay; Chandra Allison, Vice President of Sales at The Venetian and Palazzo and Chris Flatt, Executive Vice President of Hotel Sales & Marketing at Wynn Las Vegas. The panel will be moderated by Rossi Ralenkotter, President of the Las Vegas Convention and Visitors Authority. Special Guest Roger Dow, President & CEO of the U.S. Travel Association will give an industry overview prior to the panel.